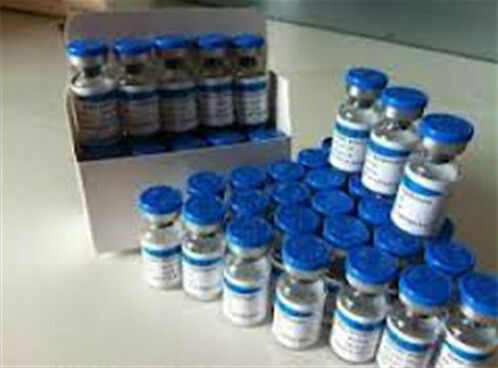 Human Growth Hormone, hGH (rDNA origin) comes in a white lyophilized powder. 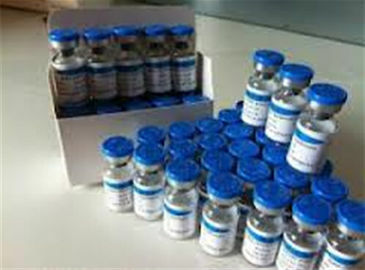 riptropin hgh stimulates linear growth and increases growth rate in children who lack adequate endogenous growth hormone. In adults with growth hormone deficiency, riptropin hgh reduces fat mass, increases, muscle mass and improves energy, vitality and subjective well-being. In patients suffering from severe burns, AIDS associated muscle wasting, or undergoing major operations, riptropin hgh promotes wound healing, attenuates the protein-catabolic response and improves whole-body nitrogen condition after operation. riptropin hgh promotes wound healing and attenuate catabolic responses in severe burns, sepsis, multiple trauma, major operations, acute pancreatitis and intestinal fistula. Topical application to promote wound healing in acute wound or chronic ulcer, such as burns, diabetic foot ulcer, chronic venous ulcer and decubital ulcer.